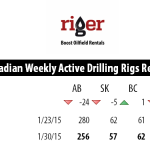 CALGARY, Alberta (January 23, 2015) – RigER presents Drilling Rigs Activity Report. 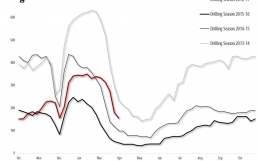 This year we will make weekly reports of Drilling Rigs Activity in Western Canada. 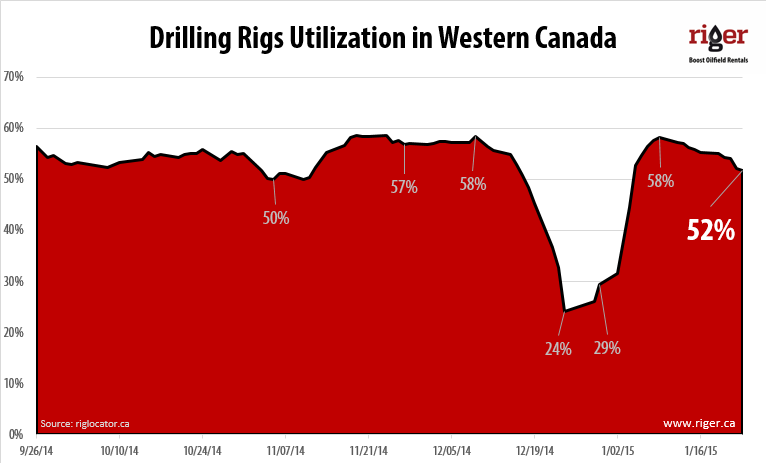 Current drilling season in Western Canada started with declining oil price and oil producers CAPEX budgets cuts. 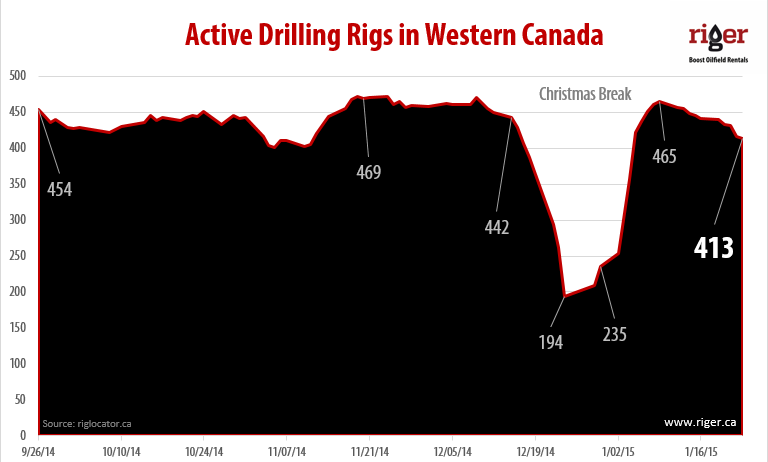 The December and January active drilling rigs numbers decline by 35-40%. 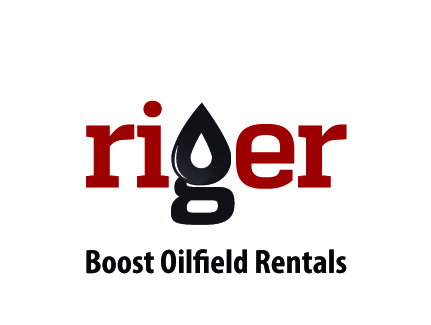 Today riglocator.ca reports 413 active drilling rigs in Western Canada. 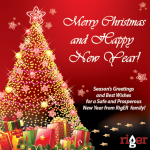 This drilling season had extender Christmas Break. 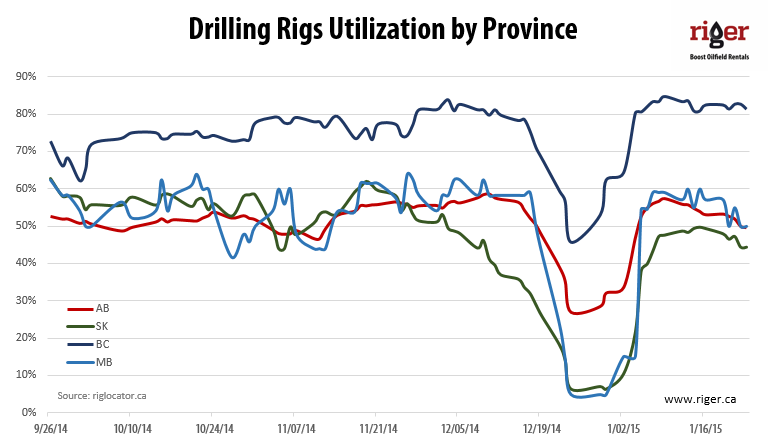 British Columbia has the best rig utilization so far. 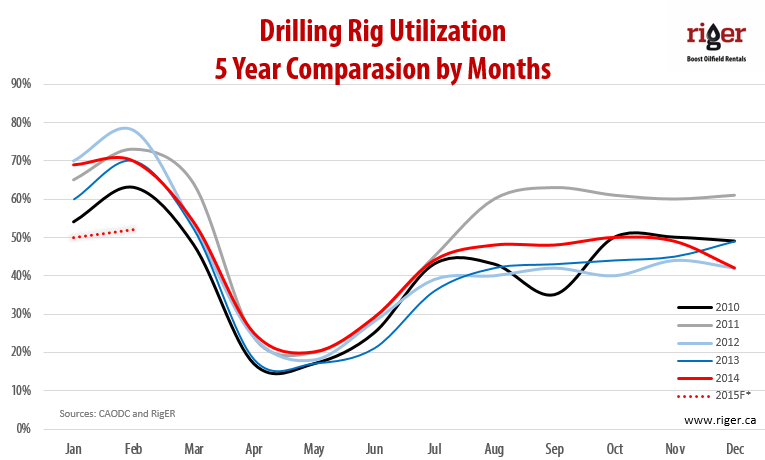 Current drilling rigs utilization is lower than 5-years average. 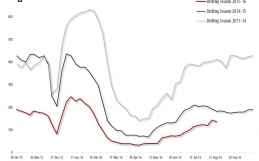 CAODC is forecasting that the depressed price of oil and natural gas will adversely affect the number of active drilling rigs in service, resulting in an industry-wide slowdown and employment losses. The number of active drilling rigs in service is expected to decline from an average of 370 per day in 2014 to 203 in 2015 (-41 per cent). Fleet utilization is also expected to drop from 46 per cent in 2014 to 26 per cent in 2015. Times like this are tough not just on contractors, but on their employees as well. 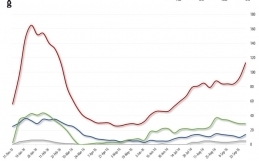 If there are not as many drilling rigs working, there will not be as many rig workers on the job. This will have significant adverse effects on indirect employment throughout the economy, well beyond just rig workers. 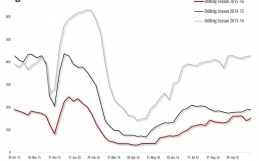 Canadian Association of Petroleum Producers (CAPP) issued updated forecast on January 21, 2015 as well – Increased access to markets remains critical despite recent oil price decline. In a short-term review of its industry forecasts, CAPP estimates a 33 per cent decline in short-term capital spending in 2015 and a projected slowdown in growth of oil production from our prior forecast by about 65,000 barrels per day in 2015 and 120,000 barrels per day in 2016. The total number of wells to be drilled in Western Canada this year is forecast to decline by 30 per cent to 7,350 wells and capital spending declines by 33 per cent to $46 billion. While Canadian producers have announced billions in spending cuts in recent weeks, major companies including Canadian Natural Resources, Cenovus Energy and Imperial Oil have announced their oil production will increase in 2015 as long-planned oilsands projects come on stream. Looking to these changes, we strongly believe that recent drop in crude oil prices and drilling activity decline would not kill off the Canadian oilfield industry. It will just make it more efficient.